PADI's learn to dive courses are the most popular in the world, and lead to a world recognised certification. We offer 1 day, 2 day or 3 day options to suit your budget and availability. PADI Open Water Referral allows you to complete Open Water dives with an instructor anywhere in the world (One Day). 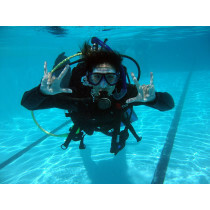 PADI Scuba Diver qualifies you to dive to 12m under the supervision of a divemaster (Two Days). 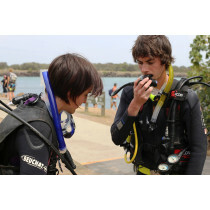 The PADI Open Water course qualifies you to dive independently with a buddy to 18m (Three Days).